COULD I PLEASE HAVE MY RECEIPT? You may think the task of asking for a receipt every time you shop will break you but it gets easier with practice. Tracking receipts has been one of the most successful ways we’ve been able to track our spending habits. Perhaps it’s been a bit of work to get this far in the budgeting process but it will be worth it. In Step 1 we learned what a budget was and what information you needed to gather before moving on to Step 2. While Step 1 might have been a daunting task Step 2 in Designing the budget should have been a bit easier. You learned how to divide your Net earnings into a budget and spend less than you make. In Step 3 of designing the budget you will learn the importance of documentation and how it will affect your monthly budget and end results. Documenting everything you spend is crucial to succeed when budgeting not only for peace of mind but to hold yourself accountable for your financial actions. Keep track of what you spend. Why you ask? If you spend $5.00 on coffee in cash and fail to document it that’s $5.00 you have lost a trail to in the budget. At this point now you have to figure out why you are short $5.00. I always make sure I ask for a receipt even at Tim Horton’s and I’m not one bit embarrassed about it. What do we do with all these Receipts? We take all the receipts from our wallet and insert them into our file folder which I keep in my office. Unloading all of our receipts on the kitchen table is the first step and either myself or Mrs. CBB will put them away in the folder. At the end of the month before I finalize the budget both of us check our wallets just to make sure we did not missing tracking receipts for that month. Typically at the end of the week on a Sunday after our grocery shopping trip we enter the receipts into the Daily Expenses portion of the budget spreadsheet. The budget worksheet has been formulated so it does all the work for you although we do offer 2 different versions of our excel budget spreadsheet. How much in coupons you used? Did you use a Gift Card to pay? You will also see how much you actually saved during the shop. 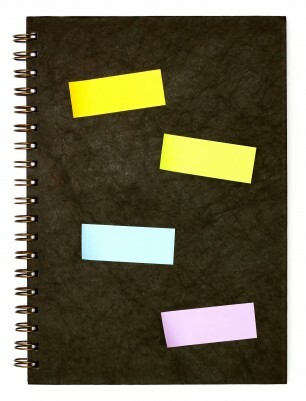 There is an area for notes which have come in handy more than a million times for us. This data, when saved is also saved on your Budget Sheet from Step 2 and updates as you input data to the worksheet. You can easily see how much you have spent in each of your designated categories according to the numbers you set. If you ask yourself, “How much have we spent on groceries this month?” you can easily see how much and what you have left to spend in your grocery budget. Using an excel budget spreadsheet for tracking receipts is comparable to having your money in Jars but with the ability to see the instant amount left in the jar without having to count. If I can teach my parents how to do this you can too! I was never really good at writing in books when budgeting but you might love it as it’s a simplified budgeting process. I’ve also designed a simple budget that you can print and put into a budget binder where you can pencil in the information you need. Make sure you check and double-check your numbers since you will be manually using a calculator to do the math for you. If you have a basic understanding of Excel you can put a worksheet and budget together or download ours for free. If you prefer to budget using the paper and pen method you now have three important steps in the process you can work on. Budgeting is part of a lifestyle just as enjoying a healthy diet that keeps you energized and full of life. Once in a while you may fall off track but that’s perfectly normal. The name of the budgeting game is to stay positive and get back on the track as soon as possible. When you give up on your financial future is when you fall into the debt trap. This is why people sink further and further into ruins. This is why relationships fail, don’t let this happen to you. Download our FREE excel budget and lots of other Free Financial Resources. If neither of these can occur expect to have debt and pay it off as fast as possible. Step 4 in designing our Budget is Note Taking and it’s importance. Using Vinegar to Clean up your Budget! One thing I am missing (not to say it isn’t here somewhere..) is how to handle receipts with multiple category purchases? i.e. Costco purchase of groceries, tools, household items, maintenance items etc. which usually add up to one large bill. 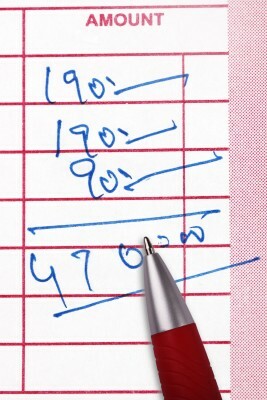 You would manually separate the bill and add the amount to the appropriate category. Hope that helps and certainly a valid, important question to ask. Thanks. So much great budgeting advice! I am going to start tracking our spending daily. I suspect a lot of money is trickling away on coffees and other unnecessary items. Yes it is very important to get a receipt. It is amazing the number of places that I go to that don’t automatically give one. Just have to get into the habit of asking for one, otherwise it is very easy to forget. In the odd case where there are no receipts, like at a parking meter or money sent to school for trips and hot lunches, I enter it into a memo on my Ipod, that way I don’t forget. Thanks Mr. CBB for the great information. One of the things I need to remind myself is to track EVERYTHING, it is all the “small purchases” like Timmies coffee, or something at the dollar store that I often forget to put in my expences. I learned and was reminded by this to get receipts at the coffee shop.